An 80's metal band groove that's been modernized. 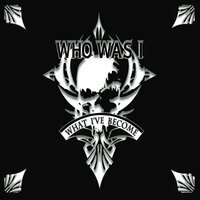 WHO WAS I was formed in 2007 by Steve Harvey in Palm Bay, Florida. Steve is the lead guitarist and co-writer for the group. “The mission from the beginning, was to assemble an original heavy metal outfit that would not only lyrically bring pleasure to our fan base, but to also deliver a live performance that would send people on their way home singing the refrains from the tunes that we were inspired to write”. Now, the band has just finished mastering their sophomore effort, WHAT I’VE BECOME. “We have been patient and committed, we are family men that rely on making the right decisions for our women and our children and we are not going to compromise our music until we have a product that reflects the same commitment we make to our own families”, says guitarist Steve Harvey. We have been fortunate to share the stage with so many bands that have inspired and touched our souls and offer our eternal gratitude to LA GUNS, SALIVA, GOSMACK, STONE SOUR, SEVENDUST, MUDVAYNE, FEAR FACTORY, DROWNING POOL, BOBAFLEX, SOULFLY, SIX FEET UNDER, EXODUS, OVERKILL, BURNING STARR, DEVIL DRIVER, CANNIBAL CORPSE and MANOWAR, just to name a few that have been so gracious, patient and impacting in our lives and to our live performances. We were blessed to travel to Europe in 2011 where we performed on the main stage at the MAYHEM during the MAGIC CIRCLE FESTIVAL in Tolmin, Slovenia. “It is was great to hone our skills before such an enormous festival crowd and then bring that same energy home to an area club with a seating capacity of 300, offers front-man Darin Foxx, “Our fans come to get a release and it is our obligation as the members of WHO WAS I to always be on point, no matter how many are attending our shows”. “As a Central-Florida based band, we have been so blessed to be surrounded by the greatest fans, friends, family and fellow-bands. It is a rush to perform live outside our local Space Coast area and over the years I have been lucky to tour throughout the states and overseas. I am the father of a twelve year old son and the only reason I keep my post in the band, is because I am playing alongside three musicians that I so respect and love to jam with” says, bassist Roach Rose. Percussionist, Aaron Ewing notes, “Every night we put forth every bit of energy from our souls so we can bring the best metal show on the scene today. We will not let weather, plagues, famine, drought or locusts keep us from making those who attend our shows from getting their monies worth”. The past several years of touring have lead up to this moment in time where we can now bring the best live performance to our fans with the exact music we have dedicated ourselves to writing, recording and performing live. To our fans, the WHO WAS I SOLDIERS near and afar, we can’t do this without you. We want to play for all of you and hope to have the chance to see you all on the road. Thanks for your love and support. Thanks for the kind words, gifts, wearing our merch and for singing our tunes and sharing them with others. You are in our hearts.